“I had a bit of a struggle at first because my life really contracted and I couldn’t do a lot of the stuff I used to be able to do," he admits. "But once I got through that a year or two ago I just accepted my life is something else and now I can’t really remember what it was like before, So it’s much easier to deal with. Pattinson's "graduation" has included a romantic melodrama (Remember Me), a period circus piece (Water for Elephants), a tale of the French nobility (Bel Ami) and playing an introspective Wall Street tycoon (Cosmopolis). He will soon be seen as T.E. Lawrence in the yet-to-be-released Nicole Kidman film Queen of the Desert and he is a wannabe actor and writer in David Cronenberg's Maps to the Stars which, like The Rover, was well-received at this year's Cannes Film Festival. Pattinson laughs easily and often and is much more relaxed and at ease than in the early days when he resembled a startled deer caught in the headlights. Despite the massive changes in his life in a relatively short time, he has kept his feet firmly on the ground. Although he appears in advertisements for Christian Dior, he is certainly no fashion plate; he lost nearly all his clothes following a recent house move and hasn't bothered to replace them. “I’ve started wearing the same thing pretty much every day like a uniform,” he says. “I haven’t taken this jacket off for weeks,” indicating the black, slightly moth-eaten jacket he is wearing that nevertheless looks good on him. He was not sure whether he wanted the Twilight role when he was first offered it after auditioning by performing a love scene with the already-cast Kristen Stewart; she persuaded the director, Catherine Hardwicke, that he was the actor to play the troubled vampire Edward Cullen. 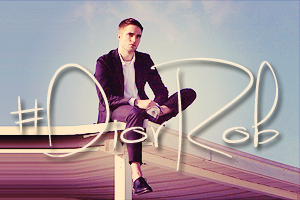 “I’d read the book and couldn’t really picture myself in the role of this handsome, perfect guy,” he says. “I didn’t know how big it was going to be." He was romantically involved with his co-star Stewart for three years but the romance ended when she reportedly had an affair with her Snow White and the Huntsman director Rupert Sanders. He is currently dating model Imogen Kerr although he politely declines to talk about his romantic life. Reviewing how he arrived at where he is in life he uses a word which features frequently in his vocabulary – “ridiculous". We are not responsible for anything the journalist decided to add to the article. 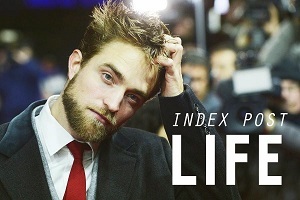 Posting for Rob's quotes, that are pretty interesting and it's a nice interview. Please don't start drama in the comment section. And Rob does seem happier these days. The constantly clenched jaw seems to have relaxed a bit lately. I hope it stays that way because he has a nice smile.